Springbrook Golf Course is an 18 hole, 5,643 yard public course that is forgiving for beginners, while offering challenging play for the avid golfer. Golf carts are available, but not required. The course has received many compliments from regulars and visitors alike. Attention to detail and the overall condition of the greens and fairways are visually pleasing and very playable as a result of a great grounds crew. The south facing slope of the property also allows us to be the first course open in the Spring and the last to close in the Fall. 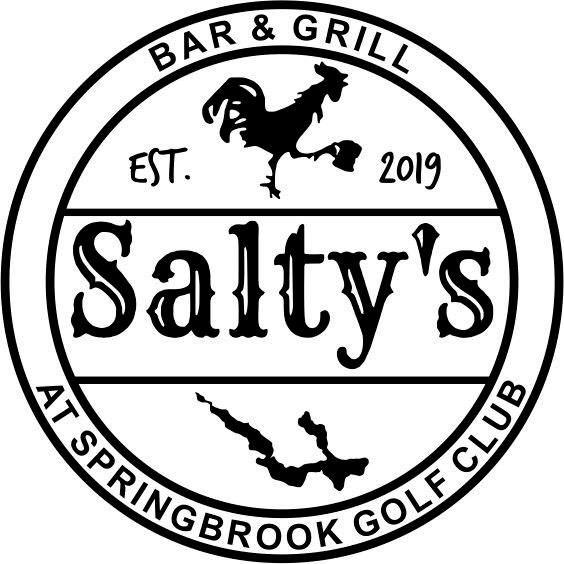 We feature Salty’s Bar & Grill and offer a full service bar offering local brews and wines. The view from the Grill overlooking the front nine is spectacular! We serve lunch and dinner daily, through golf season including our popular Fish Fry Friday. During the Fall and Winter months the Grill is closed on Mondays and Tuesdays, but otherwise open and a popular gathering spot for a large contingent of snowmobilers from the nearby trails. The restaurant, with a generous seating capacity for 150, provides a great venue for wedding receptions, banquets, class reunions and club meetings. We also arrange golf and lodging packages upon request. Check out our menu and look for us on Facebook for business hours, directions, updates and specials. Or just give us a call at 231-535-5155. We look forward to seeing you at Springbrook.